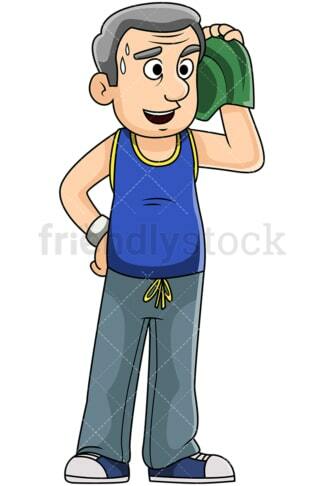 Royalty-free stock illustration of a mature man talking with someone after his evening jogging run while using a towel to dry his sweaty face. 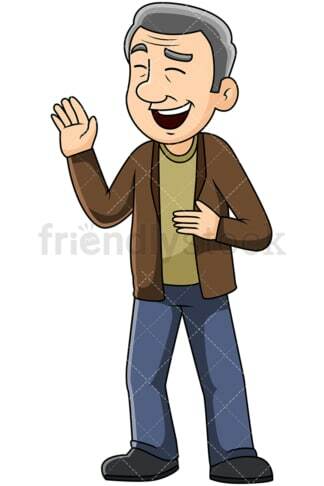 Royalty-free stock illustration of a mature man enjoying a casual chat with someone and laughing. 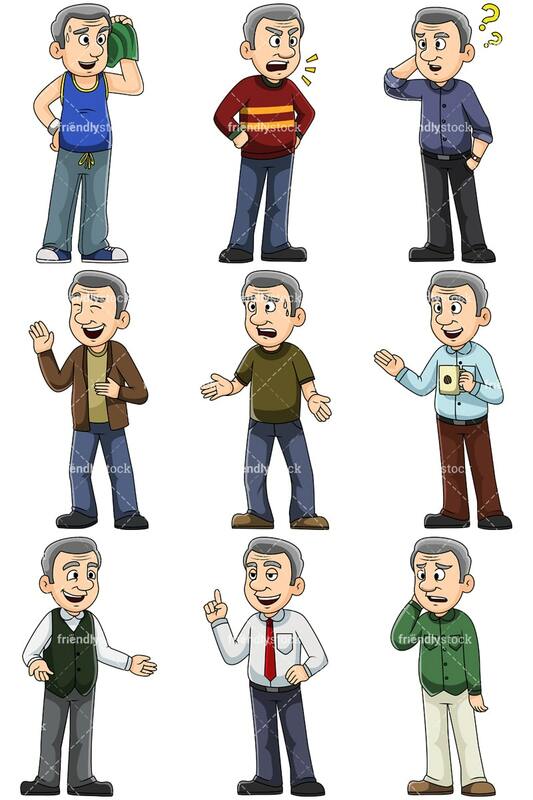 Royalty-free stock illustration of a well-dressed mature man having a casual conversation and smiling while his arms are wide open as if he is making a point. Royalty-free stock illustration of a mature man wearing a red sweater speaking angrily while his hands are on his hips to emphasize his frustration. Royalty-free stock illustration of an anxious mature man sweating while trying to speak to someone with his eyes wide open as if he is making a point. 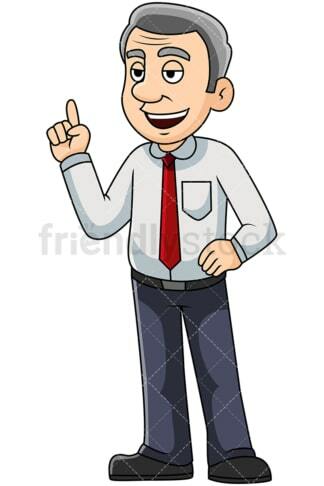 Royalty-free stock illustration of a mature man dressed formally and speaking with confidence – his index finger is pointing up as if he is trying to make a point. 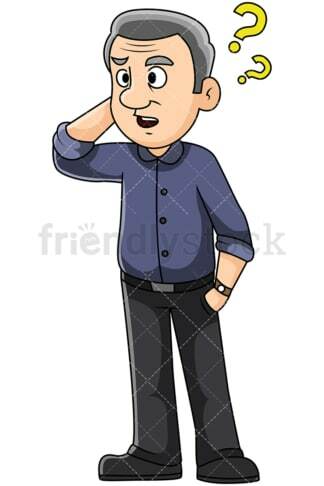 Royalty-free stock illustration of a puzzled mature man scratching his head to put emphasis on his confusion while talking to someone. Royalty-free stock illustration of a mature man smiling and having a casual conversation with someone while holding a cup of hot coffee or tea. Royalty-free stock illustration of a casually dressed mature man looking gloomy and sorrowful while trying to mumble a few words after hearing some bad news.